So they have to really deliver, and I had to do 2 tests cause I wasn’t really happy with my first try. In my first try I mixed 8% Molinberry Cheesecake in my base-fluid with 6mg nicotine and 70% PG. There was no recommendations on their page so I had to look around on e-liquid-recipes.com what other said about it and found out that most people preferred 8% mix. I speed-steeped a few hours and let the steep 24 hours where I open the bottle several times to change air in it, and then sharked it good. It really tastes like cheesecake, maybe more lemon then I prefer, I thought it was good but don´t think the flavors came out properly so it had to be another test. This try I mixed it 9% (1% more), speed-steeped it on my coffeemaker a few hours, but this time had it steep a few days more before I gave it another vape-test. Now it turned out really nice, have to give it 4/5, all flavors came out perfect and it turned out to be a really nice cheesecake eliquid to vape. But I thought something was missing, and as it says on their description it is perfect for mixing with other flavors, so I´m thinking it should be great with blueberry’s or something that gives it a cooling affect. I will surely buy more of Molinberry Cheesecake, and I will try mixing it with other flavors until I get it perfect. 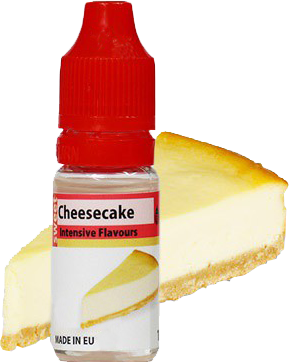 I really like Cheesecake so I just had to give Molinberry Cheesecake a go, turned out really nice, turned out to be a really nice cheesecake eliquid to vape.